Blackburn born Gareth Ainsworth had a colourful career with some 10 different clubs including Queens Park Rangers, Preston NE, Lincoln City and of course Wycombe where he was Club Captain. He took the job on in November 2015. The M40 to its junction 4 and take the A4010 (John Hall Way) signposted Aylesbury. Stay on this road going over three mini roundabouts, now the road becomes known as New Road. Proceed down the hill until you come to a pair of mini roundabouts. Turn sharp left at the first of these and into Lane End Road. Turn right at the next mini roundabout into Hillbottom Lane and continue through the Sands Industrial Estate to the ground. There is car parking available at the ground for a charge plus a number of the industrial estate companies, which flank the only approach road to the stadium, offer parking too. However be aware that on our last visit it took my little band of brothers 30 minutes to get back to the motorway last time out such was the backlog of traffic. If you are able to park about a mile away from the ground and also able to walk this is by far the best option for speed. High Wycombe is approx. 3 miles from the ground so a taxi is your best option. A direct train from London Marylebone will take approx. 40-50 minutes and they run every 30 minutes or so. A difficult one this as the ground is on the outskirts of town and adjacent to an industrial park. The nearest pubs to the ground that welcome away fans are the Hour Glass in Chapel Lane Sands (about a mile away) and the Hungry Horse (where obviously food is available) in Cressex. The town centre is your best bet for variation but leave plenty of time to make kick off! At the stadium itself there is the Scores Bar and Vere Suite which welcome away fans. The normal football fayre of dogs, burgers, chips etc. are on sale at two tea bars found at either end of the away enclosure. Adams Park was opened in 1990 but fittingly the official opening of the ground, in front of royalty, was for the visit of Barnet in April 1991 but more of that later. Wycombe's old Loakes Park ground was to the say the least past its sell by date although the main stand was a real gem as were the splendid pair of wrought iron gates at the main entrance proudly displaying the grounds title. The pitch sloped alarmingly, some 11 feet not from end to end but side to side; you really had to experience it to believe it. Back to the present and lets start with the main stand which runs the full length of one side and seats 1,300. It is a single tier front loading stand and one of many with a similar design that shot up in the early 1990’s. To its right is the only terracing area, Green King IPA Stand which can accommodate 1,750. To the left is the away area, The Hillbottom Stand originally a mirror image of the terrace at the other end but now extended and fully seated. It has room for about 2,000. Finally opposite is the two tiered 1996 built Frank Adams Stand which replaced a covered terrace, scene of one of the greatest celebrations in Bees fans history, but more of that later too. It offers a splendid view from its top seats has a row of executive boxes and basically dwarfs the rest of the stadium. All this adds up to a healthy 10,000 capacity. Adults £22, Concessions £19, Juniors £13. Oxford Utd is “up the A40” 25 miles away is the closest League 2 based club although Reading is geographically nearer. In the old days of Conference and Gola League the local derbies were against Aylesbury Utd and Slough Town. Strangely the unofficial Wycombe websites have a distinct anti Colchester Utd feeling about them, but then did you ever visit Layer Road? Our last visit was in April 2016 when an Andy Yiadom goal secured a 1-1 draw in front of 3,715. There have been four matches in particular against Wycombe Wanderers that will go down in Barnet’s folklore. The first was in 1952 when the best ever attendance at Underhill, 11,026 witnessed an FA Amateur cup-tie. The second was the evening of the 15th September 1987 at Loakes Park when a Bees attack including David Sansom, Noel Ashford, Keith Alexander, Robert Codner and Nicky Evans tore the Chairboys apart and thrashed in seven goals - Evans scored four! The third game I must mention was the night monsoons hit Buckinghamshire on Monday 29th April 1991. Over 1,000 Bees fans made the journey to Adams Park in the penultimate game of that first promotion to the Football League season. Gary Bull scored two goals in the opening five minutes and Kenny Lowe scored a third before Wycombe pulled one back near the end. This game was perhaps the clubs finest performance of that season and Sports Cast TV cameras caught the soaked to the skin players celebrating with the ecstatic soaked to the skin supporters, what a night. The fourth of course was the last ever game played at Underhill Saturday 20th April 2013 featuring a Jake Hyde goal and that Graham Stack penalty save! A pretty decent selection of players have represented both clubs since the late 1980's.....Nicky Evans, Noel Ashford, Glyn Creaser, Hakan Hayrettin, Scott McGleish, Darren Currie, Sean Devine, Lee Hodges, John Akinde, Ben Strevens Lee Harrison and Kevin Durham to name a few! Most celebs who live in this part of the world head for Marlow or Beaconsfield but I am reliably informed that a visit to Tescos in High Wycombe on a Saturday morning would fill an autograph book - Sir Steve Redgrave, Naomi Campbell, Pauline Quirk, Ulrika Jonnsson Kate Moss and the rock band Metalica. British music is well represented but only if you are fans of Dusty Springfield, Frankie Vaughan or Howard Jones. 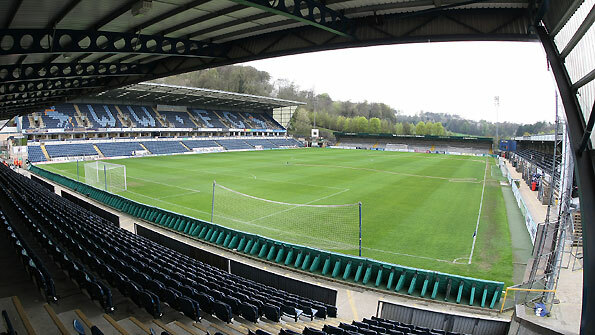 The origins of the clubs nickname “Chairboys” comes from the 19th century when High Wycombe was the furniture capital of Europe and the chair making capital of the World. 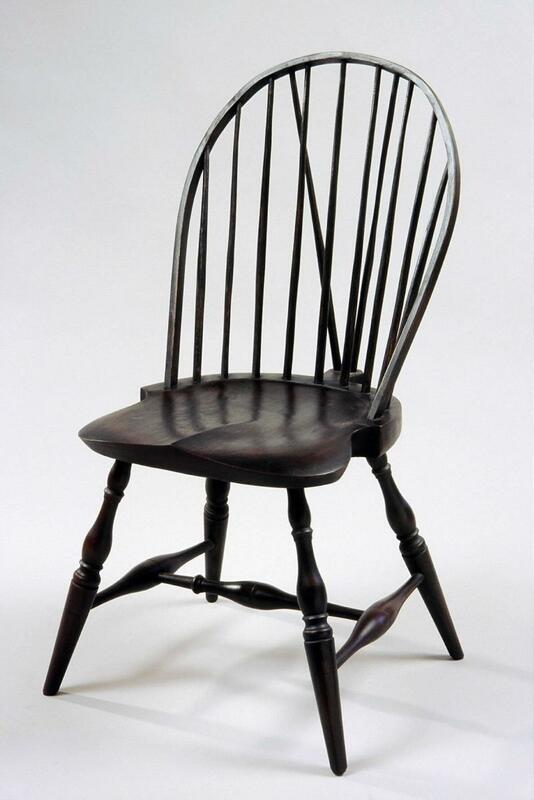 The Windsor chair was the most famous and was subsequently re-designed as the first for the increased working class market – how about that? Even snippets of English social history are on offer in these guides.